Is it O.K. to feed my dog before bringing him for dog grooming? NO! It is not necessary and is recommended not to feed your pet the day of and the night before their grooming appointment.Grooming no matter how many times your pet has been groomed is still very stressful to your pet. I always compare it as going to the Dentist. I hate going to the dentist. Dog grooming is not a natural thing for a dog to get done. Think about it, what happens to you when you get nervous, you want to use the restroom. So imagine our day with a dog that has a full belly and what we’re doing all day. My dog can be aggressive. Will you groom my pet? Sorry NO. It is too high of a risk to groom a pet that can be aggressive. Groomers have had to be put on permanent disability from dog bites that cause nerve damage, causing financial hardship. How can I get my aggressive pet groomed? We first would try to have you present during the grooming process. If that doesn’t work then we will suggest getting sedatives from your vet (ACE). Sometimes this doesn’t work either; in that case the last resort will be going to a Veterinarian with in house grooming and having your pet completely asleep for the grooming. This is risky and very expensive. 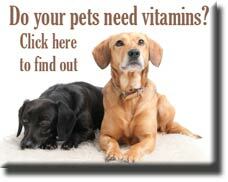 Does my dog or cat need to be current on its vaccinations before being groomed? No. It is not required to have your pet vaccinations current, but highly recommended since they are in an environment where there are a lot of dogs present. How long does the grooming process take? We try to get the grooming clients out within 3 to 4 hours. But sometimes there are some pets here that take longer than normal, putting us behind the rest of the day. That’s why we suggest not feeding your pet before grooming. The number one reason for falling behind has to repeatedly bathe and dry a dog that continuously relieves themself in their space. How soon can I have my puppy groomed? It’s recommended to wait until all the vaccinations have been given which is about 4 months old. Until then you as the pet owner can get your pet used to being groomed by brushing or combing your pet at home. On a daily basis play with your pet’s ears and feet getting them used to these areas touched. We will be more than happy to show you how to properly brush and bathe your pet, also how to cut their nails. This is good to know since you will need to do this between grooming. Do the Groomers and Bathers get Tips? This is a service business. We provide a service like the waitress or waiter and hair dresser. The percentage is the same. But if gratuity is not in your budget then of course a sincere compliment on the work that was done to your pet is always greatly appreciated. Country Waggin Resort and Grooming proudly provides dog grooming services for the communities of Rancho Cucamonga, Alta Loma, Fontana, Rialto, Mira Loma, Riverside, Ontario, Montclair, Pomona, LaVerne, Claremont and Upland. We are about an hour east of Los Angeles in Southern California. Click to return Home from "Dog Grooming FAQ"